Edinburgh: Banner of Truth Trust, 1983. . 188 pages, illustrated. This seller has multiple copies available, new and unused but no longer pristine (faint scratches to covers).. First Edition. Paperback. Good Plus. Edinburgh: Banner of Truth Trust, 1998. . 208 pages.. Paperback. Good. Chattanooga: AMG Publishers, 1995. . xl + 688 pages.. Hard Cover. Good/Good. London: Hodder & Stoughton, 1927. . 319 pages, foxed, covers stained. 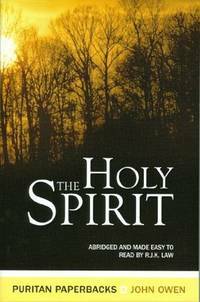 R Birch Hoyle (1875-1939) was an English Baptist minister who also served as a professor at the Baptist Western Theological Seminary in Pittsburgh, USA, as well as writing and translarting hymns. Scarce.. First Edition. Cloth. Average Minus. London: Inter-Varsity Fellowship, 1961. . 102 pages.. Paperback. Average Plus. London: Banner of Truth Trust, 1958. . 372 pages, edges and endpapers foxed. December 1958 reprint of a very early Banner publication published at Highgate West Hill, London N6. Thought to have been reprinted from the first edition, a different one from that used for later Banner reprints of this book. Foreword by W J Grier.. Hard Cover. Average/Average. 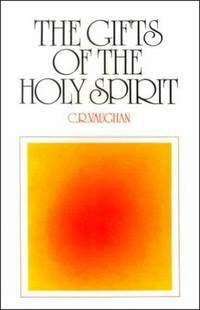 Tain: Christian Focus Publications, 1991. . 191 pages. Paper somewhat browned.. Paperback. Good. Edinburgh: Banner of Truth Trust, 2005. . ix + 294 pages.. Cloth. Very Good/Very Good. London: Banner of Truth Trust, 1966. . 284 pages, edges heavily foxed; apparently currently out of print.. Cloth. Average/Average. London: Pickering and Inglis, 1932. . 115 pages, undated but has gift inscription of January 1933. J C M Dawson, BA (1863-1932) was a missionary in China, returning in 1899 and ministering in many places in the British Isles. 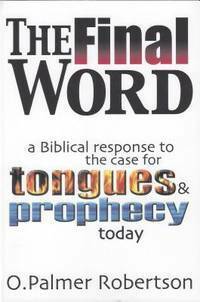 Including questions on Tongues and Healing, the Second Coming, the reality of Hell, the Unpardonable Sin, why Jesus died, etc etc.. Paperback. Average. Edinburgh: Banner of Truth Trust, 1997. . 150 pages.. Paperback. Good Plus. Chattanooga: AMG Publishers, 1972. . xi + 487 pages. An exegetical exposition of 1 Corinthians 1 from the Greek text, in 112 chapters.. Cloth. Good/Good. Basingstoke: Marshall Pickering, 1987. . 157 pages. Paper a bit browned.. First Edition. Paperback. Average. Gisborne: Westminster Standard, 1970. . 14 pages, reprint of a sermon preached in 1839. Westminster Standard Publication No 39. Undated. Staples Rusted. Stiff shiny paper.. Pamphlet. Average. Gisborne: Westminster Standard, 1970. . 14 pages, reprint of a sermon preached in 1839. Westminster Standard Publication No 39. Undated. Staples Rusted. Two copies in flexible shiny paper with a little dampstaining.. Pamphlet. Poor. Leicester: Eric T Gurr, 1965. . 32 pages, foxed.. Pamphlet. Average. Edinburgh: Banner of Truth Trust, 1994. . PAPERBACK . 415 pages. This is the paperback edition. Unusually, the original hardback and subsequent paperback printings have the same ISBN.. Paperback. Good. London: Church Book Room Press, 1974. . xvi + 303 pages. . Paperback. Average. 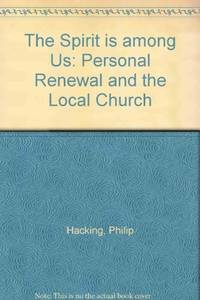 Nutley: Presbyterian and Reformed, 1976. . 74 pages. Dedicated to Professor John Murray.. Paperback. Good.